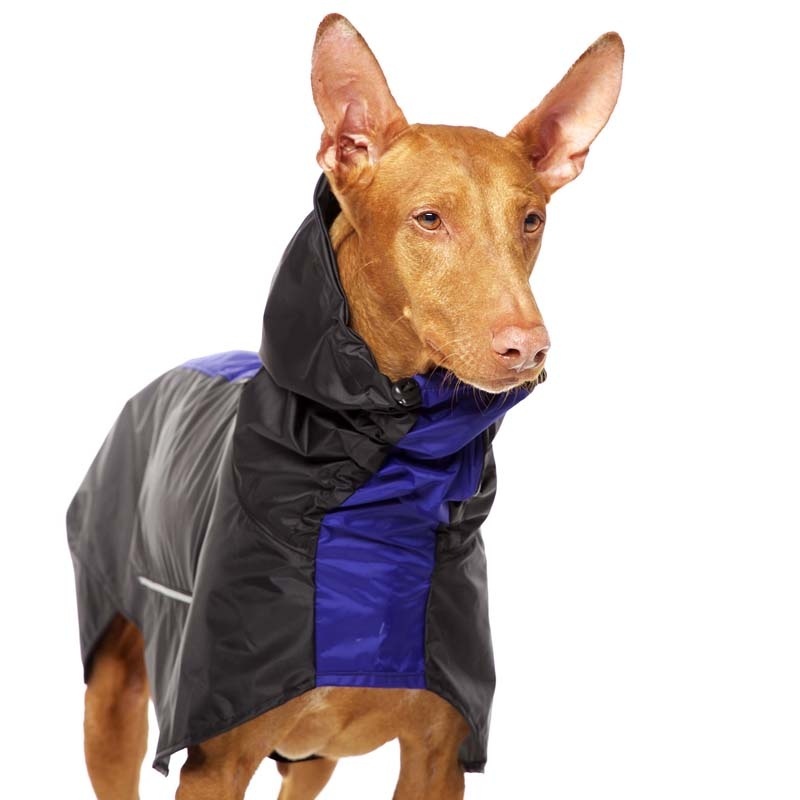 One layer raincoat is a basic solution for rainy days during the whole year. 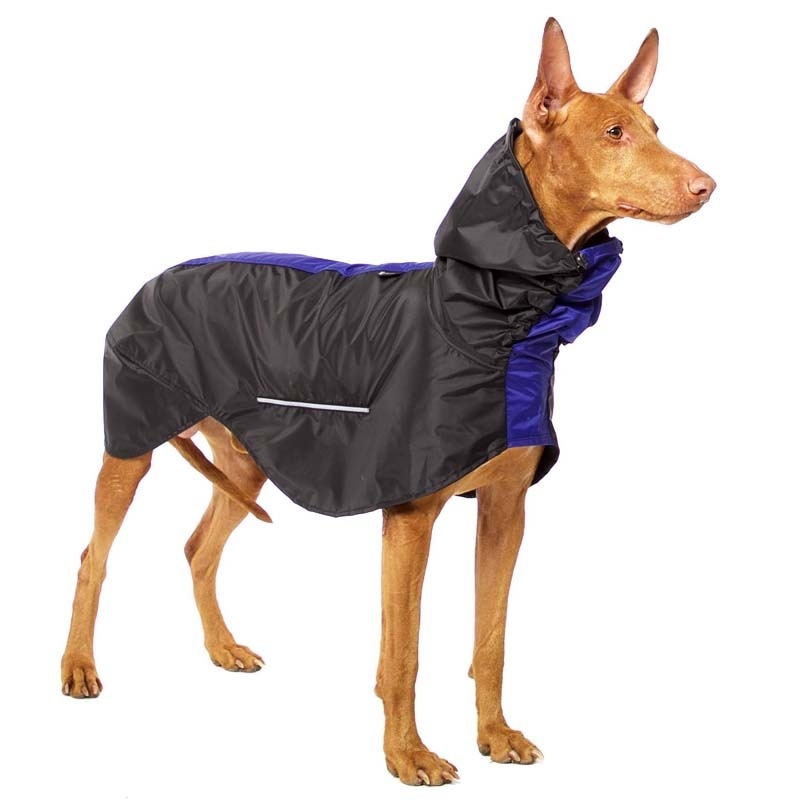 Made of 100% nylon with PVC coating. 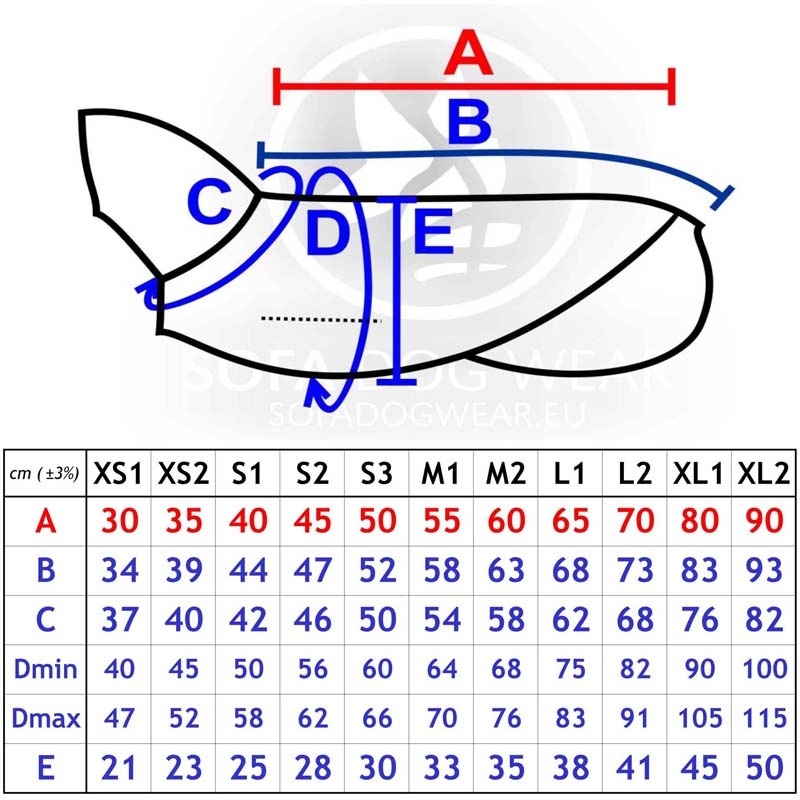 Seams are coated with impregnation, impregnation should be renewed when needed. 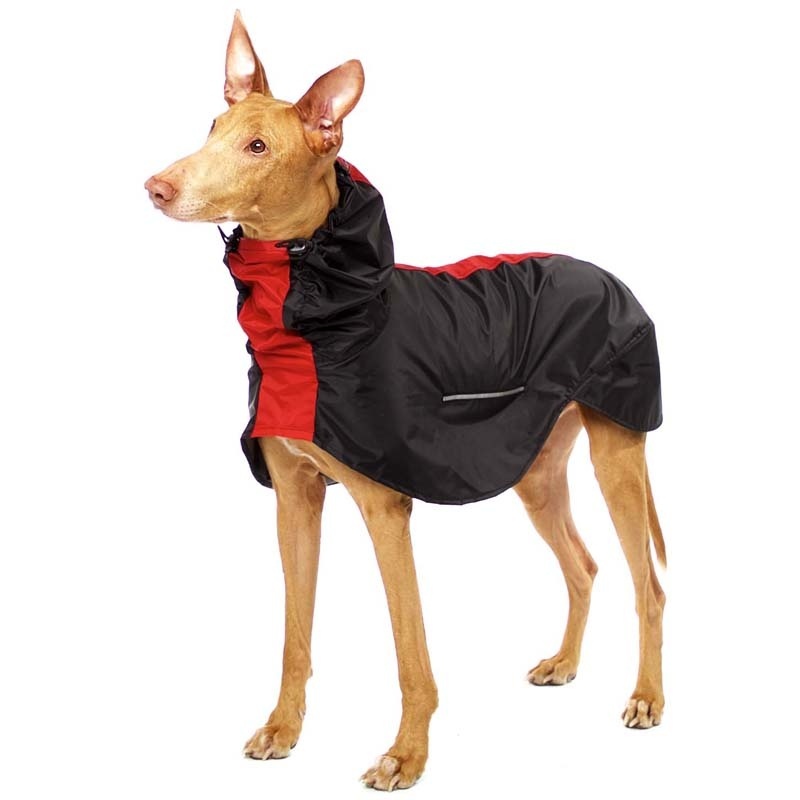 Can be used individually or in the combination with underwear, T-shirts or sweatshirts. 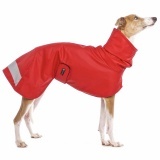 Under the chest with velcro closure. 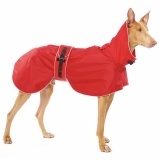 Original shape of back area allows to use this raincoat also for dogs wearing tail up (pharaohs, ibizans etc.). 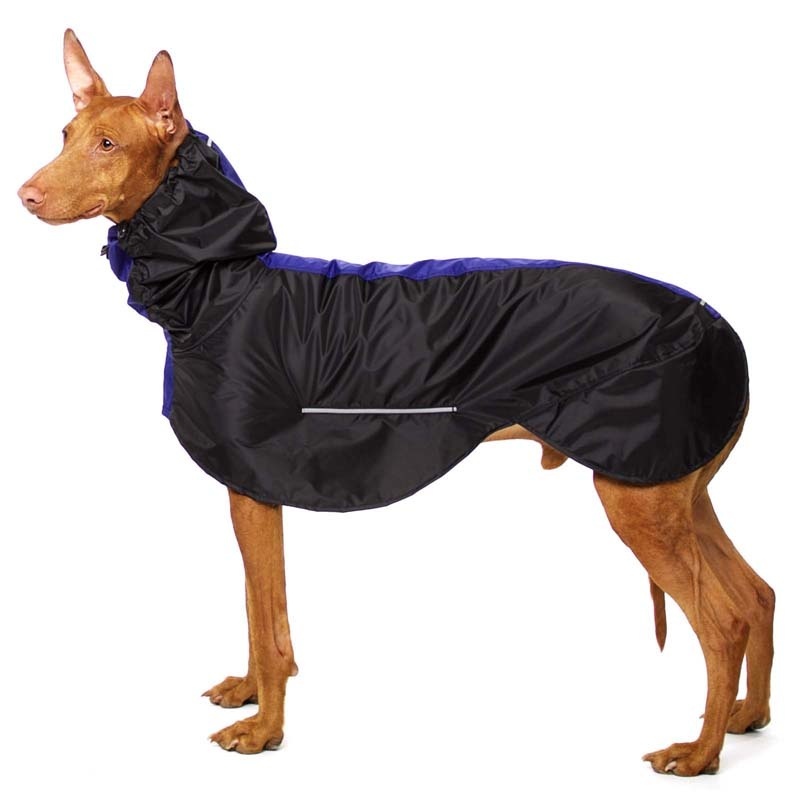 The hood is adjustable with a rubber with a clip. 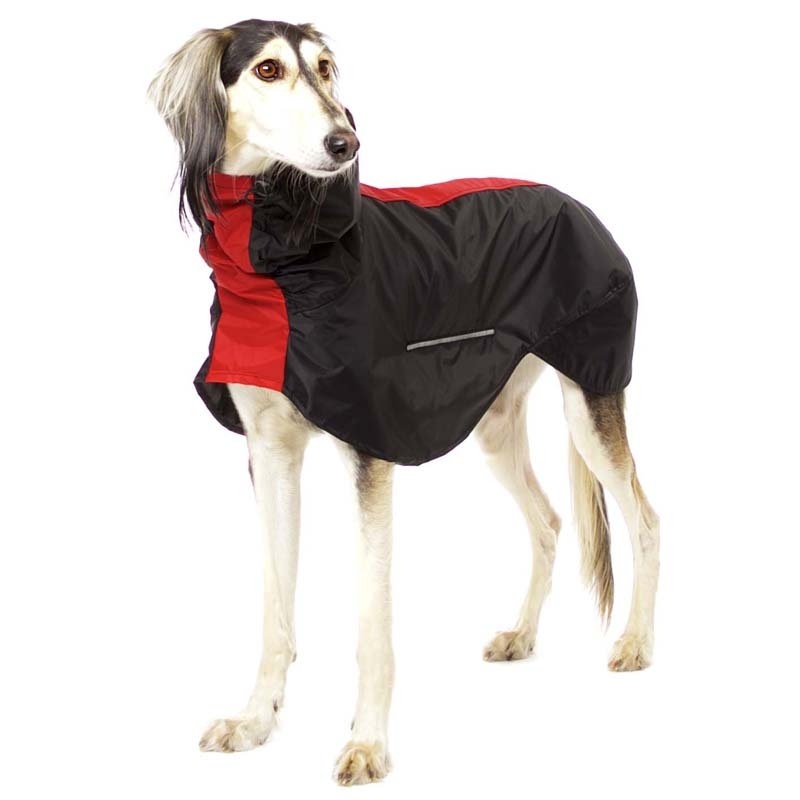 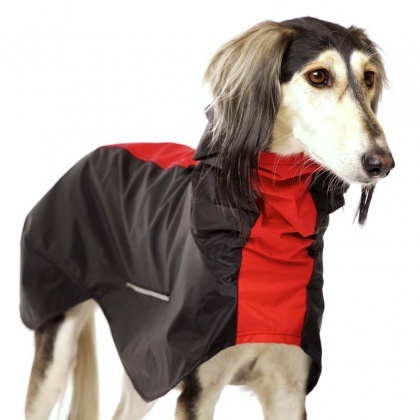 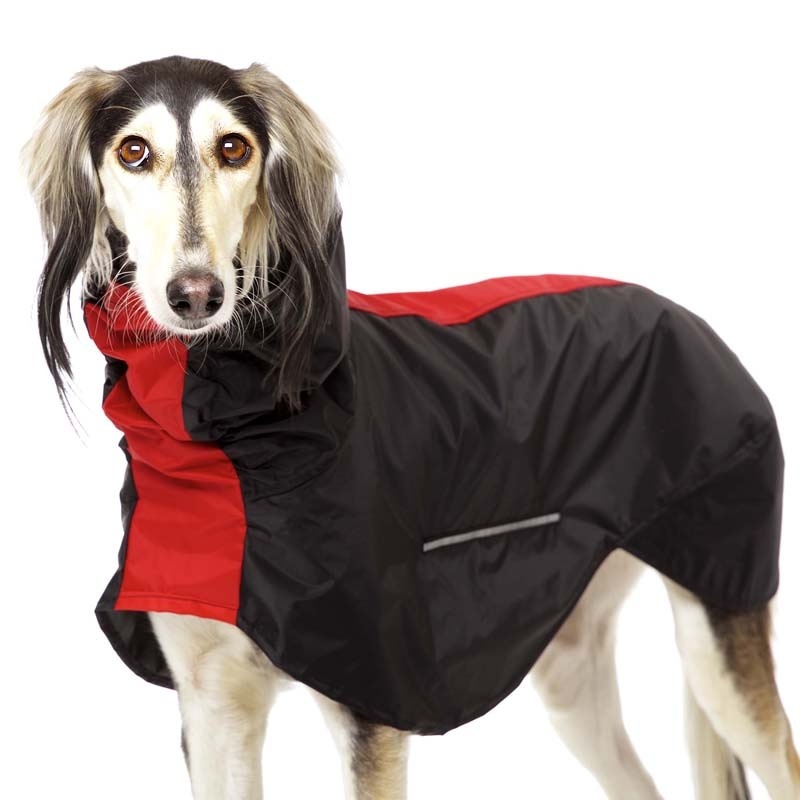 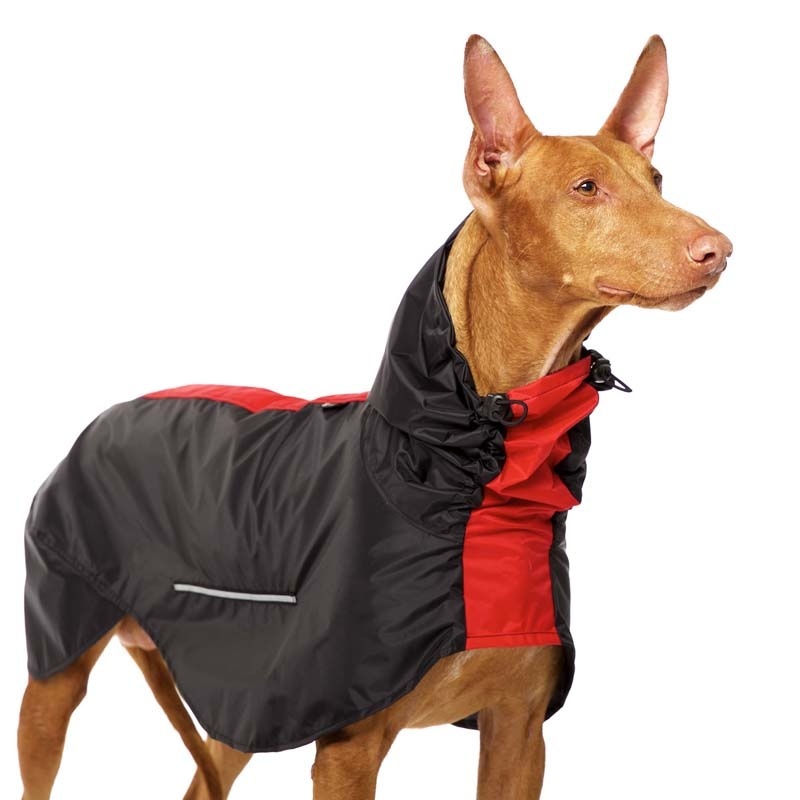 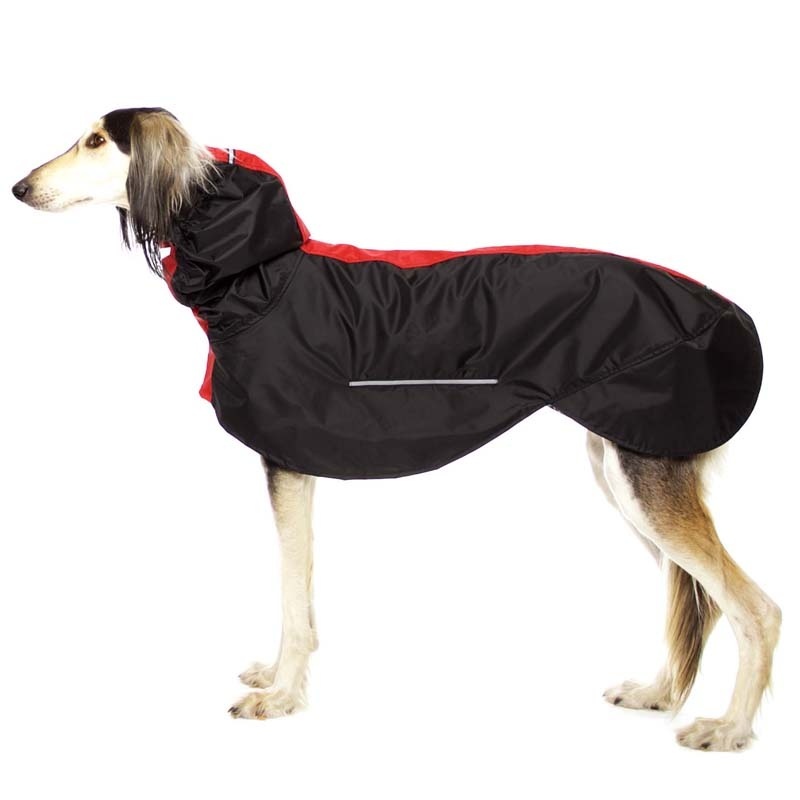 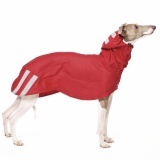 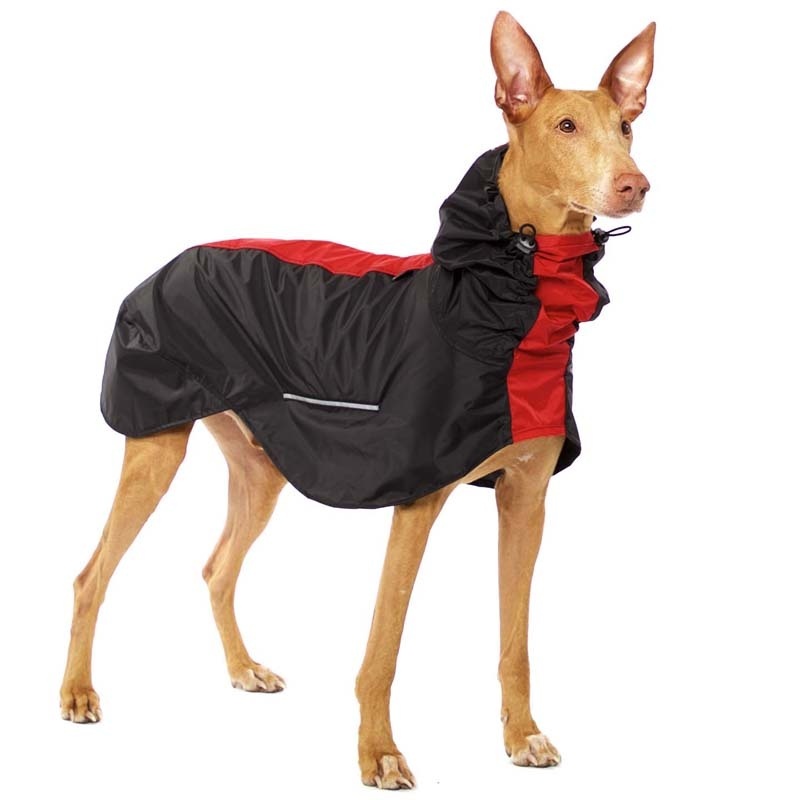 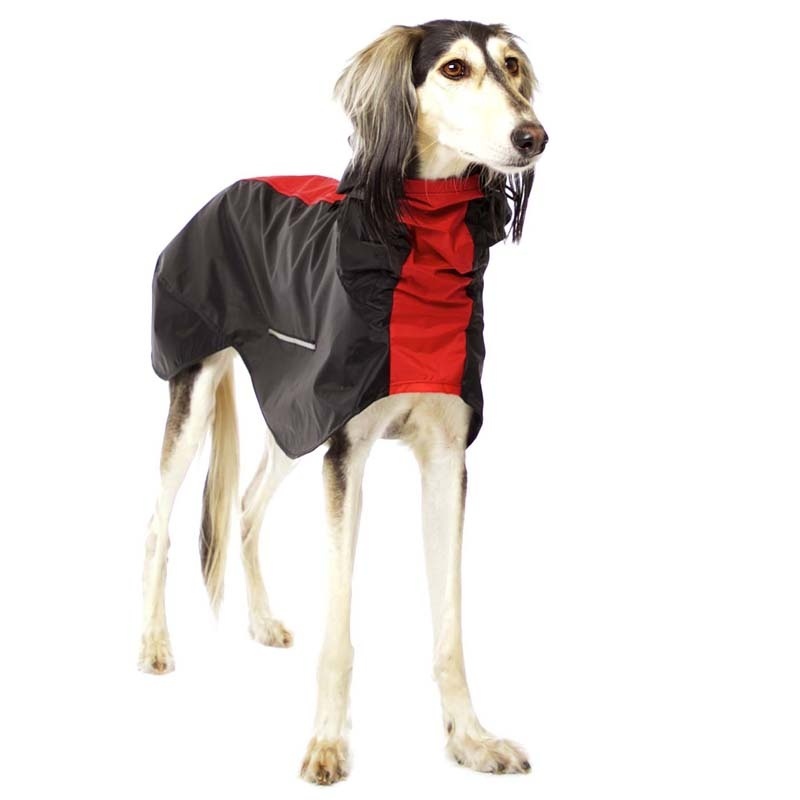 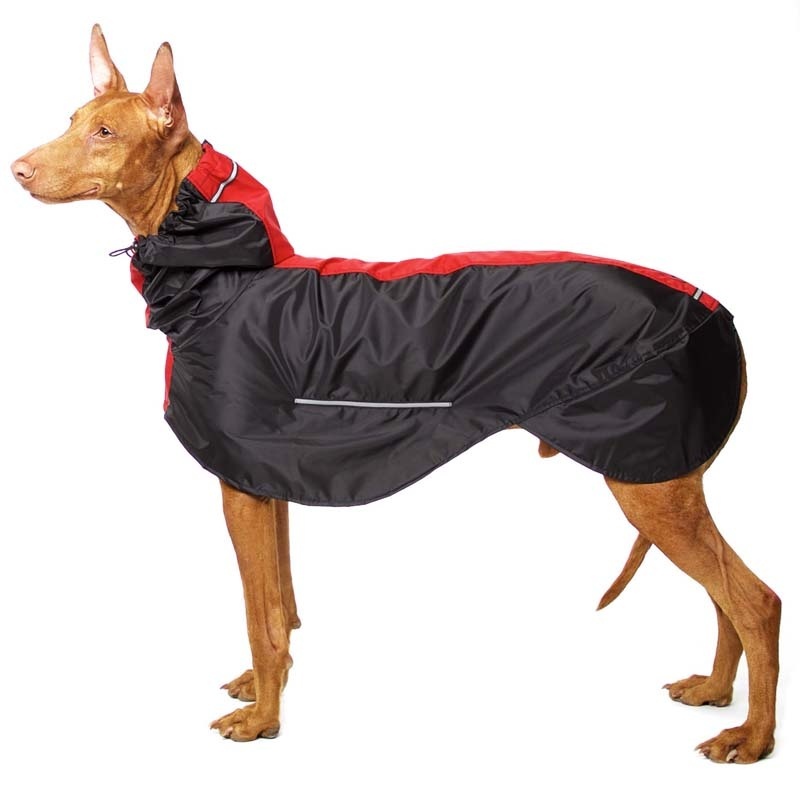 The coats is fitted with reflection marks for the safety of your dog.